Direct Thermal Desktop Label Printer. 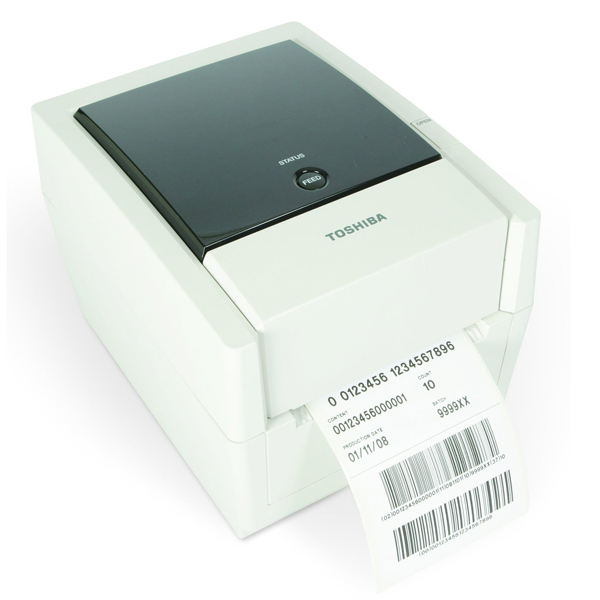 The B-EV4D is a Toshiba TEC label printer. B-EV4D uses direct thermal printer technology to produce labels or tickets on thermally treated media, including sticky labels, swing tags, tickets, price tags and many other form factors. Whether you are looking for a label printing solution to integrate into your existing systems or replace existing units that are already deployed into your install base, B-EV4 fits seamlessly into the solution and meets a range of specification or printing requirements. Engineered to endure the working conditions encountered in various environments, the B-EV4 features advanced technology in a very compact body that allows it to fit into the most confined workplaces. B-EV4 prints on media upto 112mm wide. Toshiba operate across multiple industries, delivering solutions and services founded on the knowledge and experience of a global team of specialists and a comprehensive portfolio of reliable, innovative technology. Toshiba have an outstanding reputation for providing quality, reliable products that deliver genuine return on investment and value for money.